Recently on steam’s Greenlight section, Classic Offensive had made its way on. 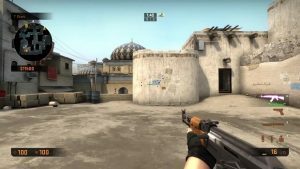 The mod aims to use the assets of Counter- Strike Global Offensive to recreate the ever popular 1.6 version of the game. The creators have said that they don’t want to be VAC Banned and they’re unable to replicate the most mechanical parts of 1.6 in GO. Buy, you’ll still be able to play in a “more simplistic” art style, classic map layouts, and without the guns introduced in GO. Other than that, the mod adds some changes to the scope and some price tweaks. While the mod is still not 100% finished, you can download is in its uncompleted state from the Steam Group.